OUR PRICE: $27.95 - Join Rewards Get $1 Dance Dollars On This Item! 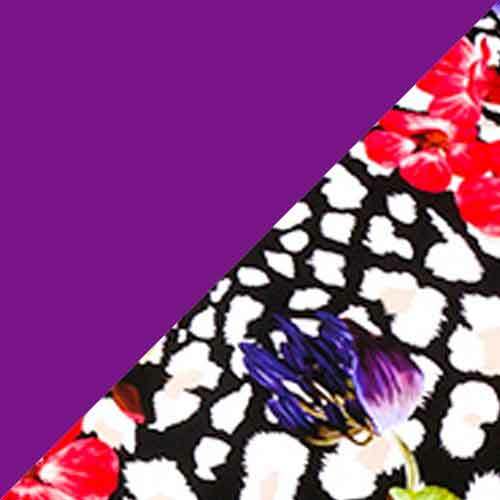 Purple and leopard combine to create the ultimate print for the trendiest addition to your wardrobe! Top features a halter neckline, two front purple mesh inserts, a clear neck closure, dual back tank straps, and an all-over cheetah and floral print.